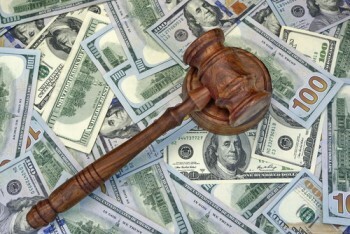 A judge in Cook County, Illinois, has expressed her displeasure with a case filed by a prominent law firm seeking a bonus fee of $9.75 million in a high-profile divorce case. Judge Margaret Ann Brennan dismissed the case seeking the fee and said she would forward her opinion to ethics authorities, the Chicago Tribune reports. The law firm, Grund & Leavitt, had sought the fee from its former divorce client, Richard Stephenson, the wealthy founder of the Cancer Treatment Centers of America. Stephenson had fired Grund & Leavitt after the final divorce judgment and refused to pay the law firm’s final bill. Grund & Leavitt sued for breach of contract. But Brennan cited a legal ethics rule that bans unreasonable fees and prohibits fees that are contingent on securing a divorce or that are based on the amount of alimony or property settlement in a divorce, according to the Tribune. A founding partner of the law firm, David Grund, is director of the family law LLM program at Chicago-Kent College of Law and co-author of a textbook on Illinois family law. Grund tells the ABA Journal his firm is filing a motion for reconsideration that asks the judge to vacate the dismissal order.